The Amazing Thailand Motorcycle Tour gives you a great insight of the Land of Smile. Pass the unique highland vast panoramic view of Doi Inthanon, the highest peak of Thailand and the beautiful Mae Hong Son. 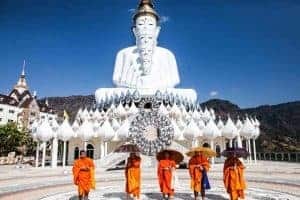 Visit Pai, Chiang Dao, the charming Tha Ton, Doi Mae Salong, Doi Tung Royal Villa and the famous Golden Triangle, where three country borders meet: Thailand, Laos, and Myanmar (former Burma). 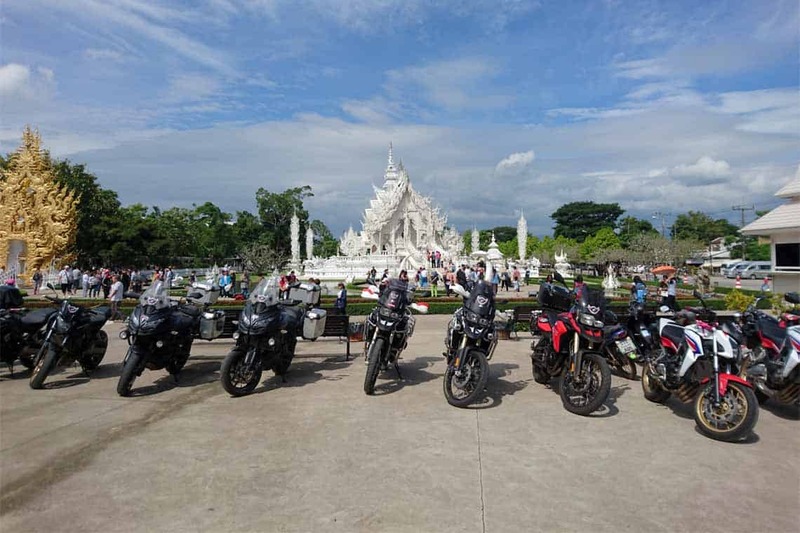 Then optional ride to the White Temple Wat Rong Khun in Chiang Rai. 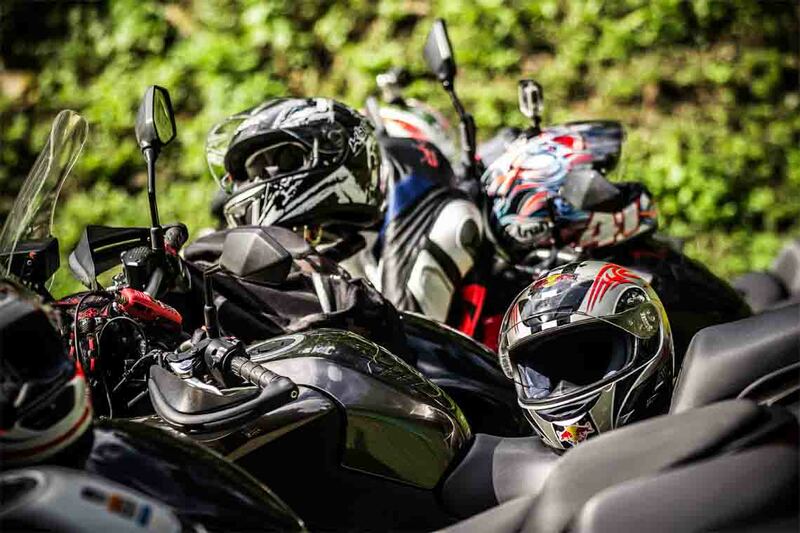 Ride the exhilarating, mountainous highway No. 1148 to Nan, ranked in the Top 10 as one of the most fun biking roads to be found anywhere in the world. 120 kms. 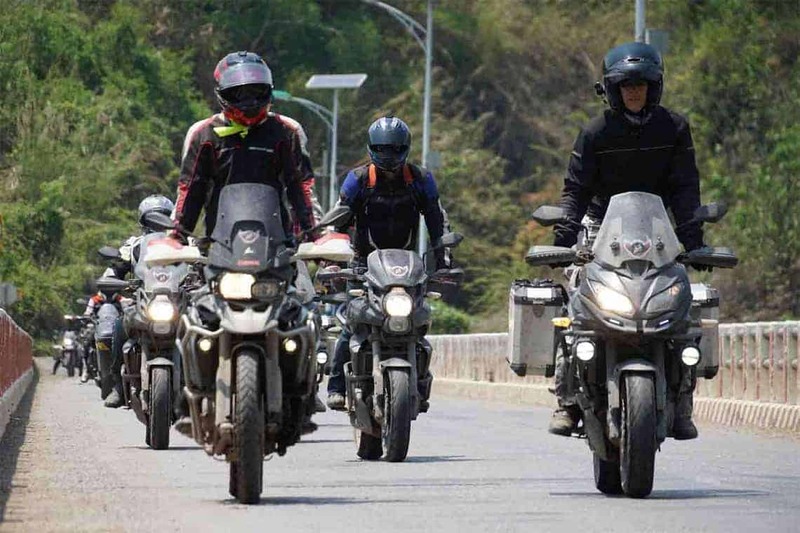 of up and down curves through the impressive mountains providing you with pure riding pleasure. Ride along the unique panoramic views of the border between Laos and Thailand. 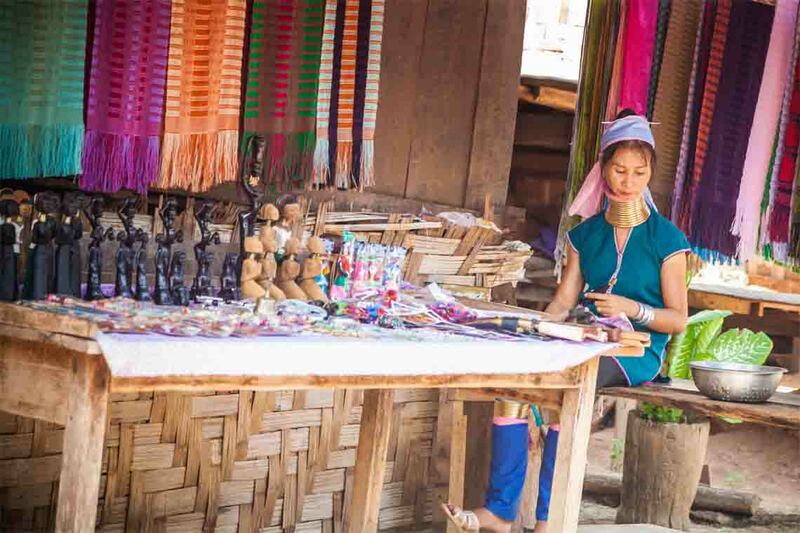 Cross the Sirikit dam reservoir on a wooden ferry and discover charming Phrae and amazing Phayao. 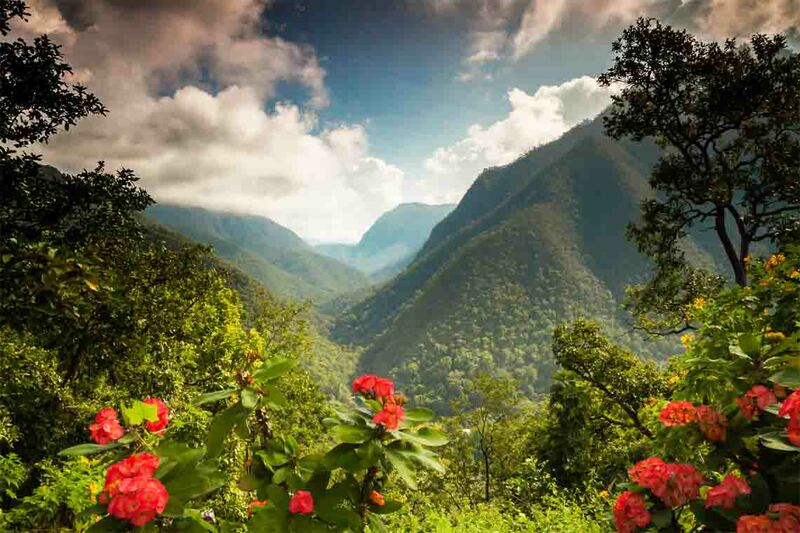 Visit the mountainous scenery of stunning Doi Angkhang (Thailand´s “Shangri-La”). An unforgettable riding experience as we pass through natural, historical, traditional and cultural attractions. DEPARTURE TIME The tour will start in the morning 8.30am. Please be informed, that you arrived at least one day before the tour start in Chiang Mai. 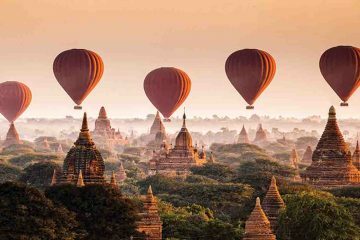 We recommend two days before tour start to acclimate and avoid jet lag. RETURN TIME The tour will finish about 4/5pm back in Chiang Mai, so if you like to fly back the same day to Bangkok or the beach, you can catch easily any flight from Chiang Mai after 6pm. GEAR We recommend bringing your own gear to be the most comfortable. BUT we also offer helmets, jackets, gloves and knee guards (European high-quality brands in many different sizes). Please be informed, that we do not offer boots and trousers as due hygienic reasons. Accident cover insurance up to 100,000 THB, life insurance up to 1,000,000 THB and much, much more! Please be informed, that our tours are fully inclusive. 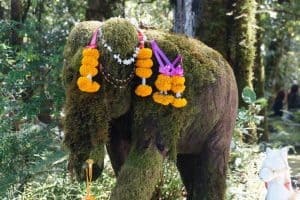 So you can completely focus on your holiday, the adventure, the riding and amazing Thailand. There are no hidden costs or other surprises – our tour prices are final prices. All is paid. 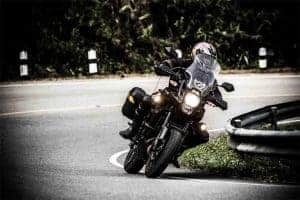 Come ride with us – the real deal! Familiarize yourself with your bike on the highway ride heading south of Chiang Mai to Doi Inthanon National Park, the highest peak in Thailand, 2,565 meters above sea level. Ride along the excellent winding mountain road through pine forest scenery. 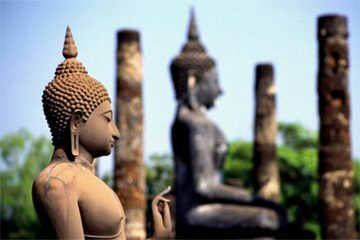 Visit Thailand’s finest waterfall, nature trails, Royal pagodas and botanical gardens. Descending to Mae Chaem for a relaxing lunch at the local restaurant. 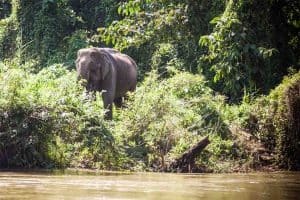 After lunch, ride on, passing through pine forests until we reach Mae Sariang, near the border with Myanmar, where you later enjoy your peaceful accommodation. After breakfast, leave Mae Sariang to Mae Hong Son on narrow twisty curvy roads. 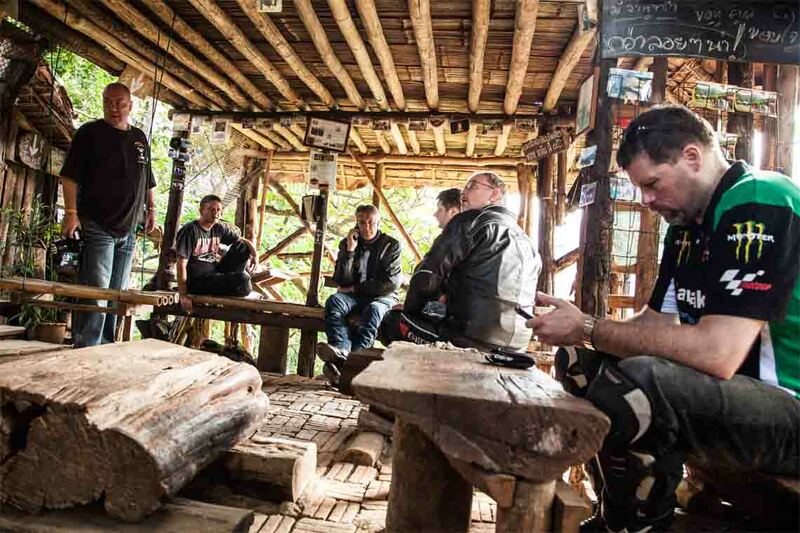 In Khun Yuam we make a break and visit a World War II museum. 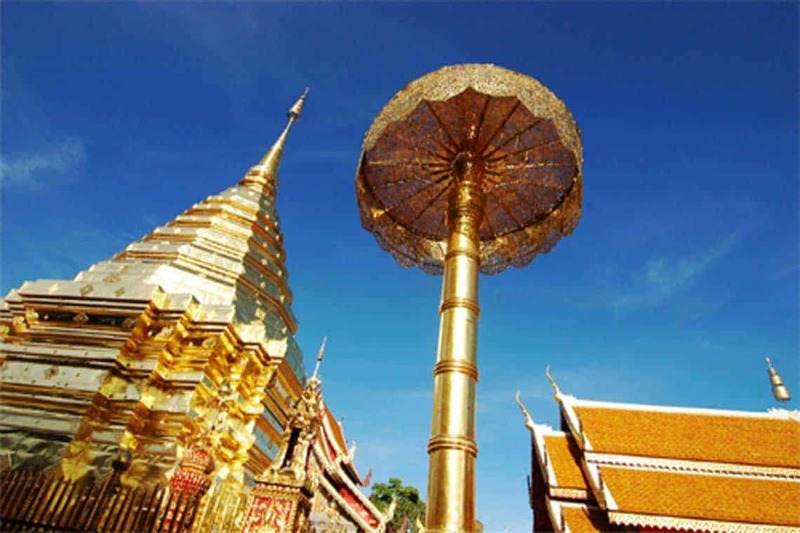 Visit Wat Phra That Doi Kong Mu, the first temple of Mae Hong Son on the hilltop. Lunch is served at a local restaurant. 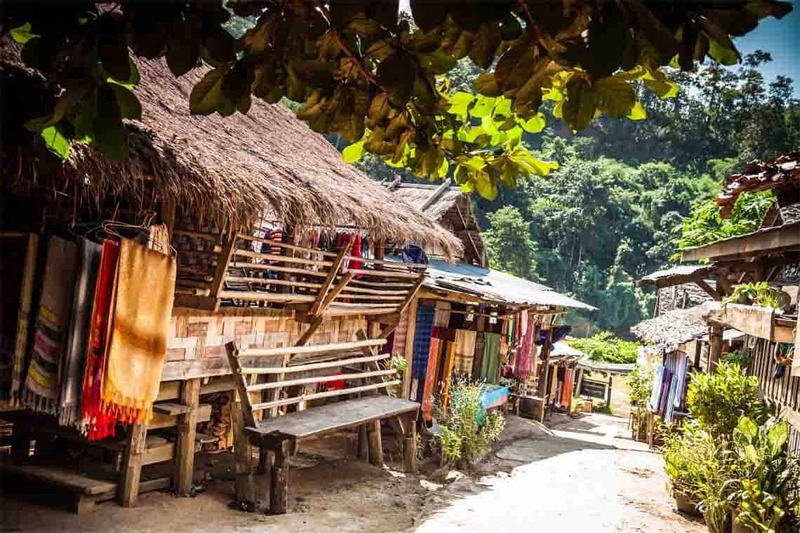 Visit Lod cave, which means, “cave with stream running through”, on a bamboo raft. Then back on twisty curvy roads to Pai. 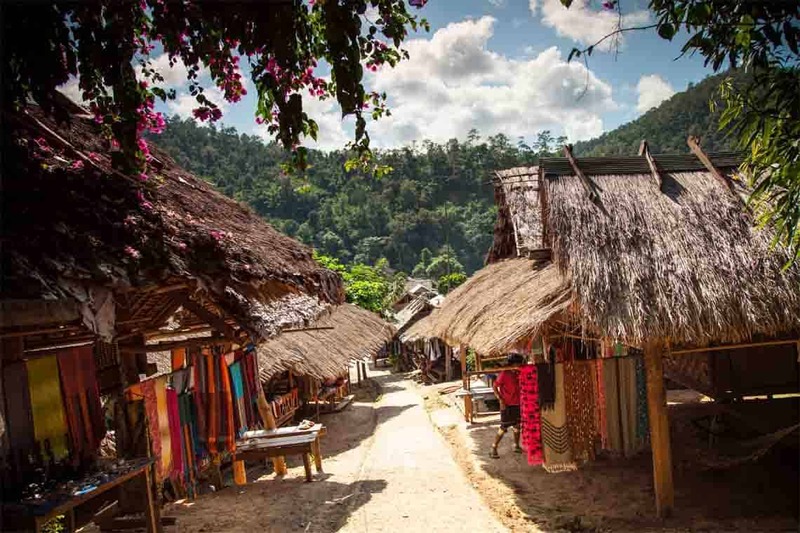 Optional visit Tha Pai hot spring, where you can enjoy a mineral bath. Then we reach a charming accommodation with swimming pool. Before breakfast, in the very early morning, you have a chance to offer food to the monks along the streets of Pai`s local market. After breakfast, visit the Pai World War II Memorial Bridge. Back on winding mountainous roads. Later we reach Chiang Dao, where we have a relaxing lunch at a local restaurant. After lunch, visit Chiang Dao cave. 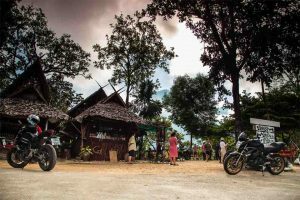 Then ride along fantastic mountain roads via Doi Angkhang until we reach Tha Ton, where you will visit the Wat Tha Ton on top of the mountain and enjoy the amazing sunset there. 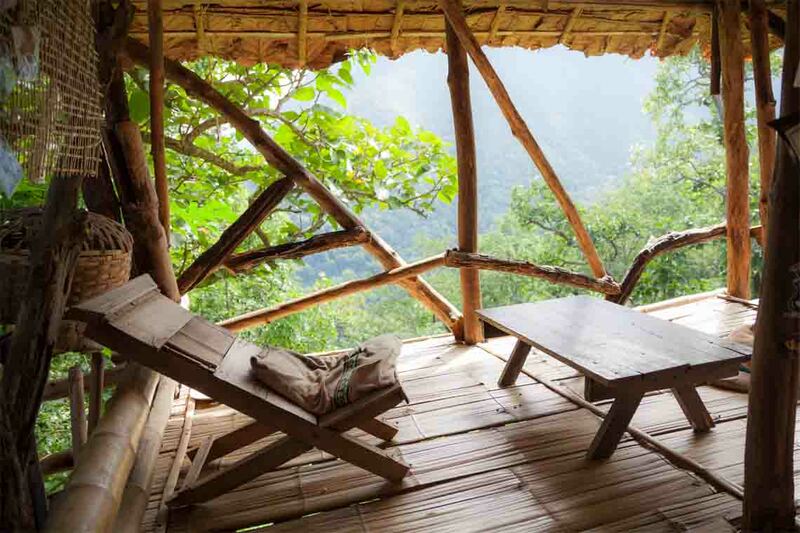 Later you relax in your charming accommodation with a fantastic panoramic view. 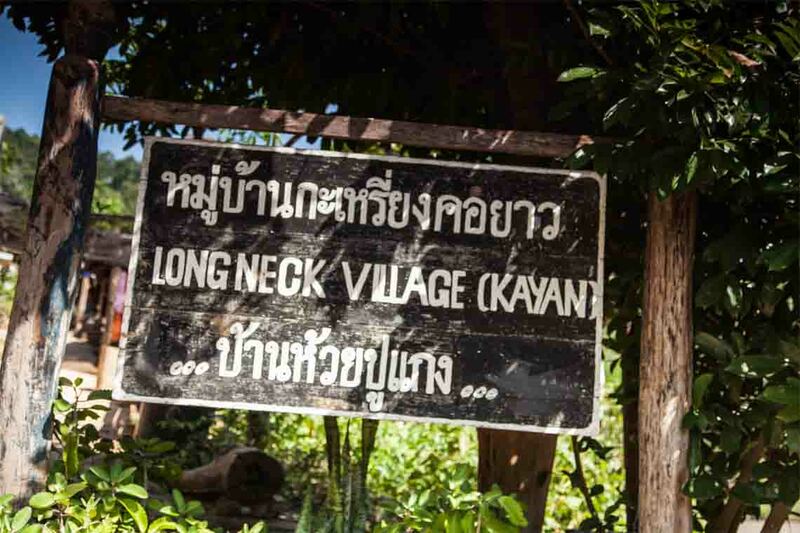 After breakfast, we leave Tha Ton to visit the long-neck Karen tribe village near the border of Thailand and Myanmar. Ride to Doi Mae Salong, where Chinese mountain tea farmers live. 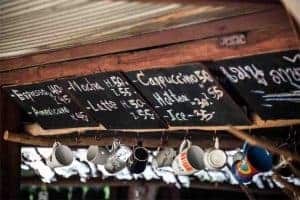 Of course, you will test Thailand´s best tea there. Then back on curvy roads to Doi Tung Royal Villa. Visit the Winter Palace and the botanical garden. Lunch is served at the Royal’s Project restaurant. 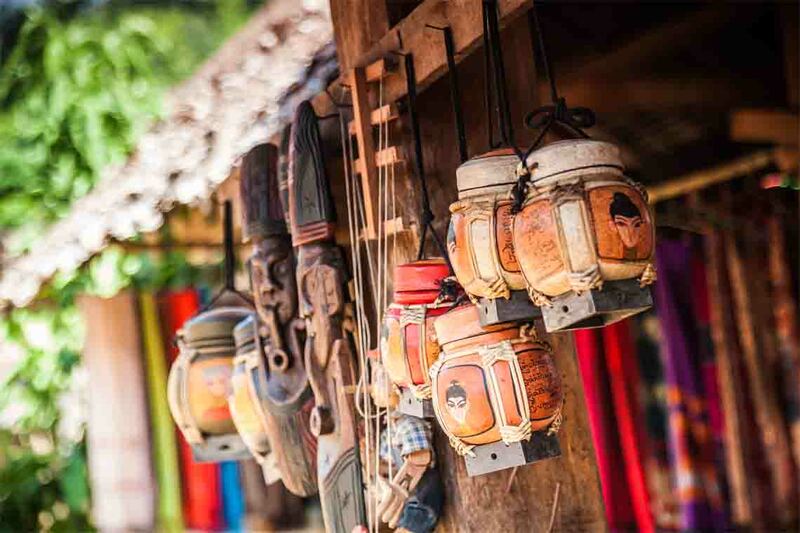 Continue along winding roads to Mae Sai, the northernmost point of Thailand. Visit Wat Tham Pla where you can feed some food to wild monkeys. 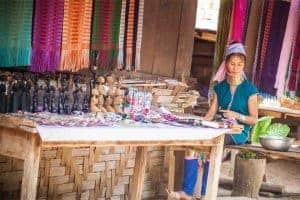 Reach the Golden Triangle to take a long-tail boat trip on the Mekong river and short visit a small village in Laos (no visa necessary). Visit the Opium museum before relaxing at your peaceful accommodation. After breakfast, ride along a scenic farming areas road to Chiang Rai city. After that, optional visit the White Temple (Wat Rong Khun) one of the top 10 wonder temples in the world. Lunch is served at a local restaurant. Ride the exhilarating, mountainous highway No. 1148 to Nan, ranked in the Top 10 as one of the most fun biking roads to be found anywhere in the world. 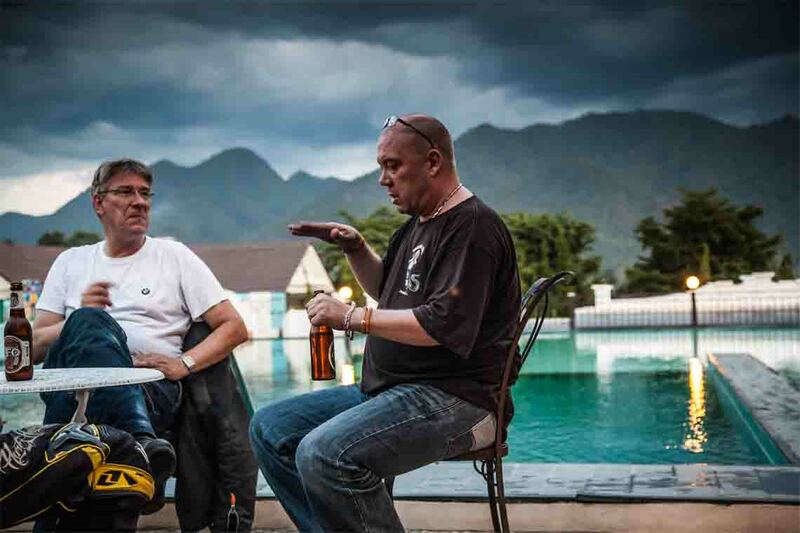 120 kilometers of up and down curves through the impressive mountains providing you with pure riding pleasure. Visit Wat Phra That Khao Noi (Nan hilltop scenic temple) before relaxing in your lovely accommodation and jump in the swimming pool. Later you will discover and enjoy Nan´s night-life. After breakfast, we leave Nan riding through winding mountainous roads. We then take the motorbikes on a wooden ferry across the Sirikit dam reservoir. Sirikit dam is the largest earth dam in Thailand. It´s used for irrigation, fisheries, flood control and as well as hydro-electric power generation. Lunch is served at Sirikit dam. Then we continue on the highway passing through rice fields until we reach charming Phrae. 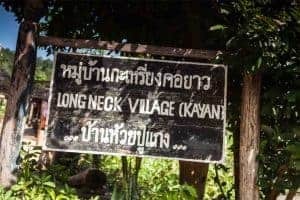 It is a small city near Lampang and a few kilometers away from Denchai. 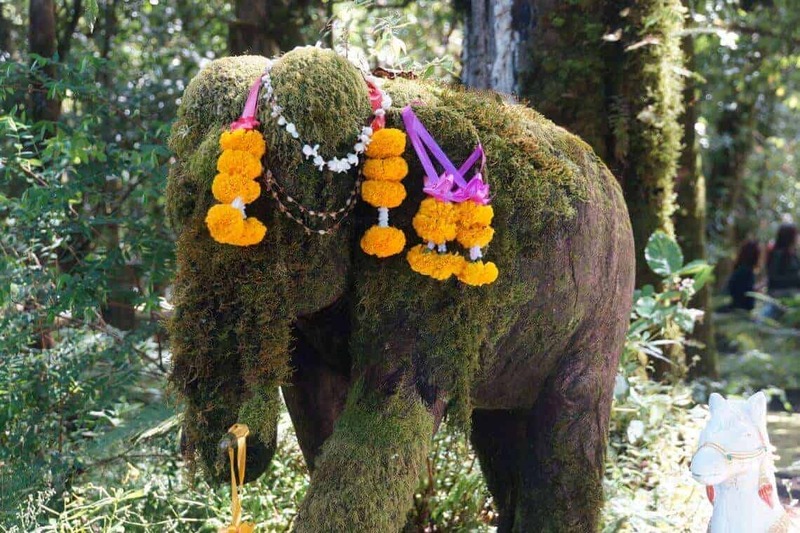 Very few tourists come here to visit the area, but Phrae city and its surroundings worth to come. If you want to see authentic Thailand, the one not many tourists see, you definitely have to come here. Later you enjoy the beautiful accommodation with swimming pool. After breakfast, After breakfast, leaving Phrae to unseen Phayao. Ride along fantastic mountainous roads. Lunch is served at a local restaurant. Then we cruise along the highway R1035 through farming areas to Phayao. Discover Kwan Phayao Lake, which is one of the biggest lakes in Thailand. It covers an area of 12,831 rai (21 km²) at an elevation of 380 m. The lake has a mean depth of 2 m. Forty-eight species of fish are recorded for the lake, most dominant are the artificially introduced Nile Tilapia and the Climbing Perch. The lake was created in 1939 to improve irrigation in the area. It was added to the list of 61 most important wetlands on 1st of August 2000. 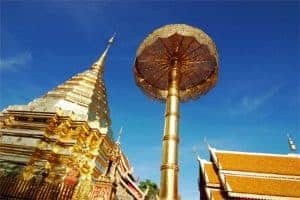 There are currently plans to restore the ancient temple Wat Tilok Aram dating back to the end of the 15th century, which was submerged during the construction of the lake. The town of Phayao at the southeast corner of the lake. Then we arrive and relax at the charming accommodation. 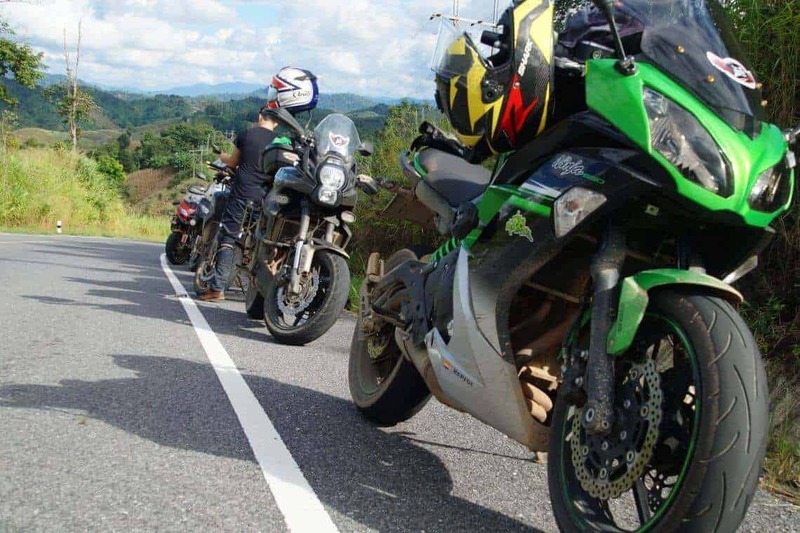 After breakfast, we ride on one of the best roads to discover Thailand´s “Shangri-La”. 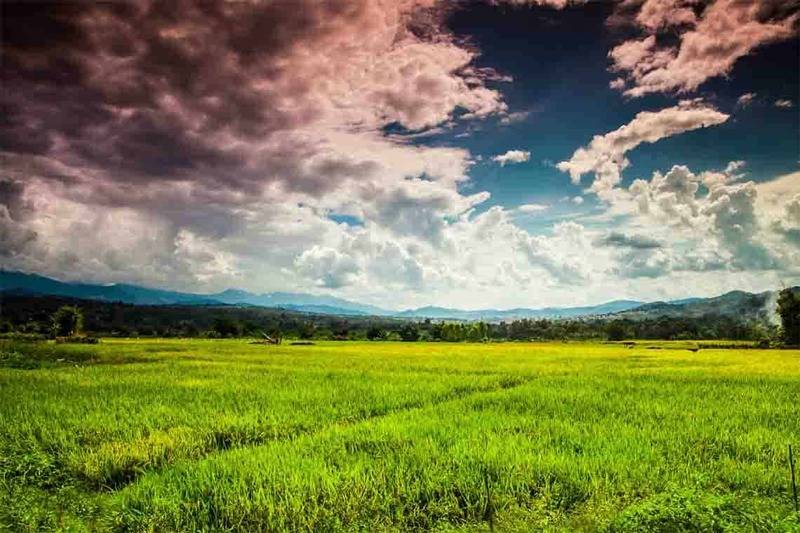 Visit Ang Khang Royal Agricultural Station. The agricultural station researches and cultivates temperate climate fruits, flowers, and vegetables. At present, the station has more than 12 species of temperate fruits such as raspberries, peaches, plums, kiwis, and strawberries, and more than 60 species of vegetables such as carrots, Brussels sprouts, and peas, and more than 50 species of temperate flowers such as carnations and roses. Lunch is served at a local restaurant. Doi Angkhang is a district over 1,000 meters above sea level: Often with a misty, 360-degree panoramic view and refreshing weather the entire year (18 – 25 Celsius degree). Later you will enjoy and relax in your peaceful accommodation. 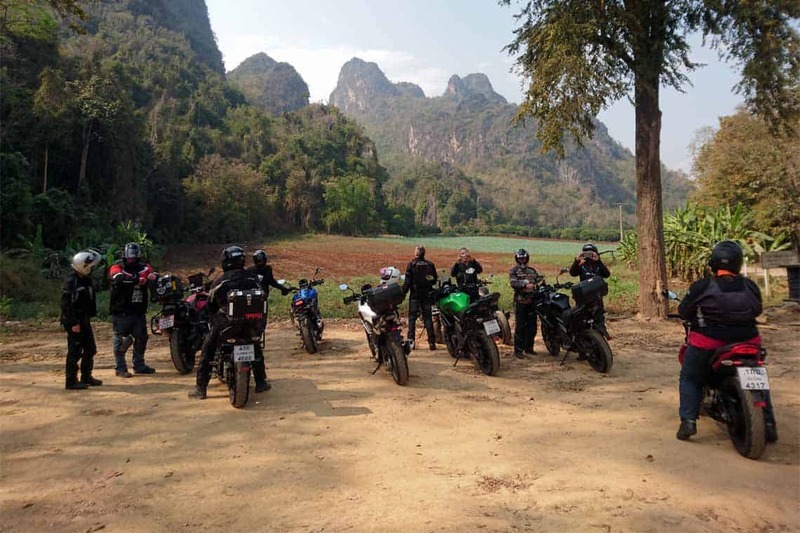 After breakfast, we leave Doi Angkhang and riding on windy and tiny mountain roads along the Myanmar border (former Burma) through the stunning scenery of Doi Angkhang mountain range. 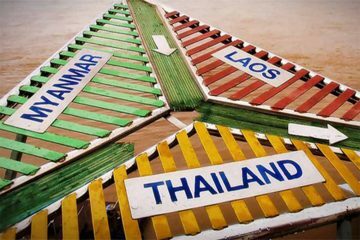 It is part of the Daen Lao Range that straddles both sides of the Burmese-Thai border. 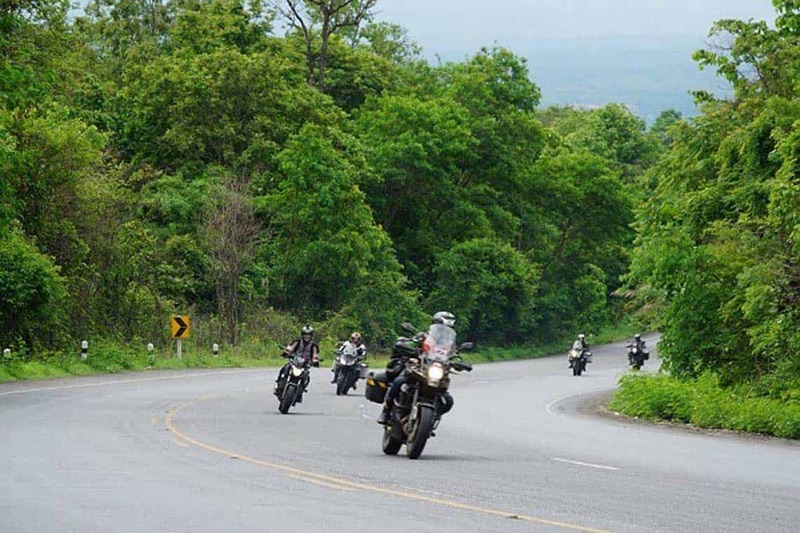 Ride along fantastic mountainous roads to visit Mae Ngat Samboon Chon Dam. Lunch is served at the dam restaurant. We continue riding, passing through national parks and farming areas. Visit a local market, stopping for refreshment, before heading back to Chiang Mai. 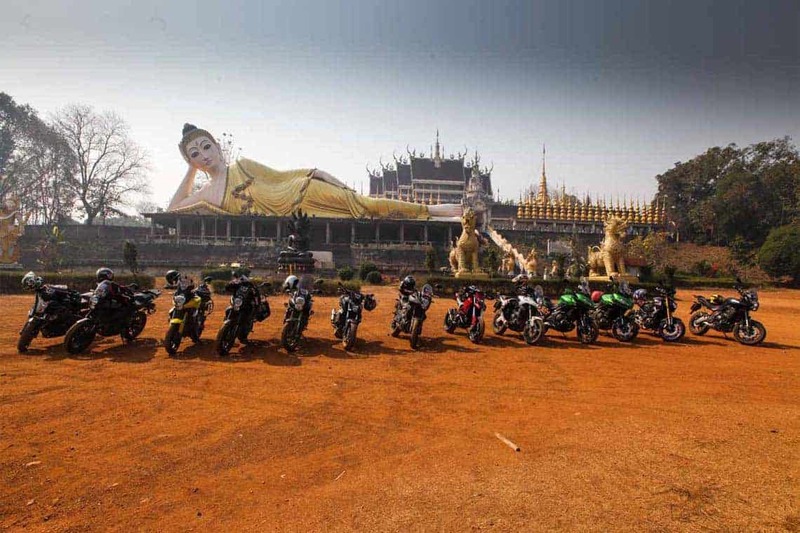 Big Bike Tours is based in Chiang Mai, Thailand – where all our motorbike excursions begin. 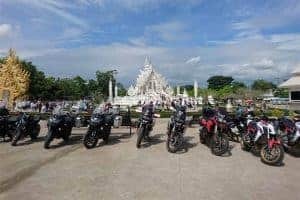 We have been riding the scenic routes in Thailand and all over Southeast Asia for over 15 years, and have been providing guided tours since 2009. 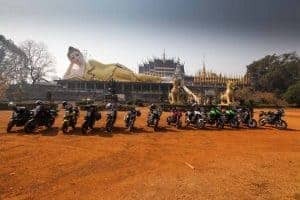 If you love to ride, but hitting up the standard tourist spots simply isn’t your style – book an Asian motorbike tour with Big Bike Tours today!